This article is 3196 days old. A honda sedan, shown here, has just been flipped right side up by Myer's Towing. It was originally flipped upside down on its roof after being t-boned by Chysler Intrepid which ran a stop sign. Photos by Aric Aczel. Windsor Star photographer Tyler Brownbridge speaks with the driver of the Intrepid involved in the crash. 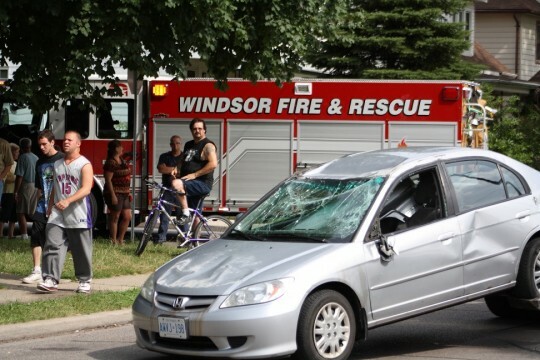 The collision pictured above occurred around 3:50pm Monday afternoon at the intersection of Hall and Cataraqui. 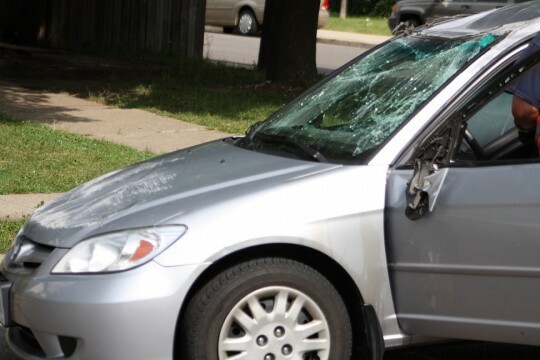 A middle aged man driving a purple Chrysler Intrepid was traveling westbound on Cataraqui when he ran a stop-sign and t-boned a Honda sedan which was traveling northbound on Hall. The Honda flipped onto its roof upon impact. The driver of the Intrepid was unharmed and his vehicle sustained only minor front end damage. 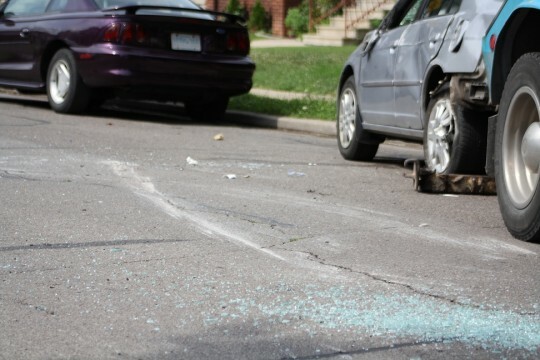 The condition of the person who was driving the the Honda is unknown at this time. The intersection of Cataraqui and Hall is a 2-way stop. Motorists driving down Hall have the right of way. 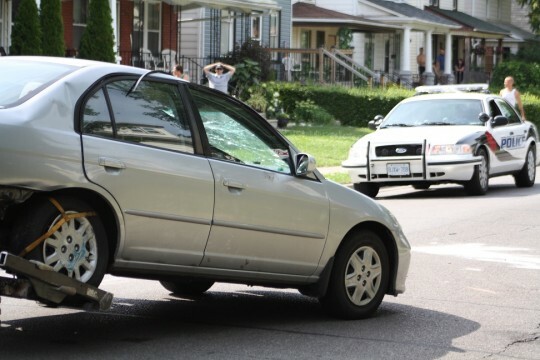 A hit and run collision occurred around 3:30pm in the area of Chilver and Cataraqui. 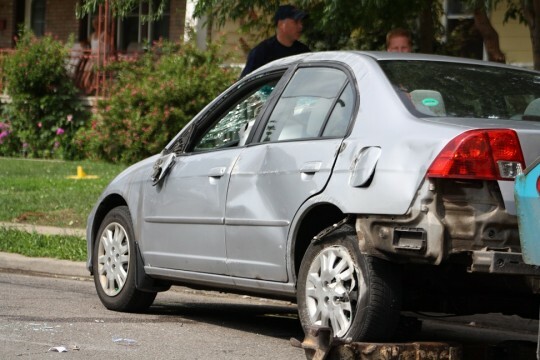 A woman driving a red Dodge minivan allegedly crashed into another vehicle and drove away. No license plate information or last known direction of travel was obtained. 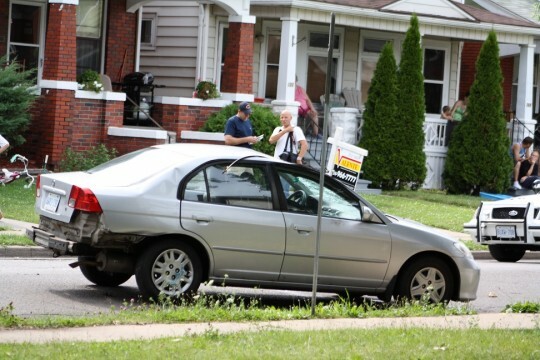 A 3 vehicle collision occurred around 2pm at the intersection of Howard and Memorial Drive. Injuries were minor in nature. A 2 vehicle collision occurred at the intersection of Cabana and Mount Royal Drive around 1:30pm. Injuries were minor in nature.